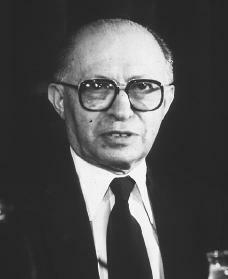 Menachem Begin was active in both the movement to establish an independent Jewish state in Palestine and in the early Israeli government. After serving many years in the Knesset (the Israeli legislature), Begin became Israel's prime minister in 1977. Menachem Begin was born the son of Zeev-Dov and Hassia Begin in Brest-Litovsk, White Russia (later Poland), on August 16, 1913. He was educated at the Mizrachi Hebrew School and later studied law at the University of Warsaw in Warsaw, Poland. Begin had witnessed many acts of violence against Jews in Europe. He went to work for a group associated with the Revisionist Zionist Movement, which Vladimir Jabotinsky had founded. The movement called for the creation of an independent Jewish state in Palestine, which at that time was controlled by Great Britain. In 1939 Begin married Aliza Arnold, with whom he had three children. Later that year the British moved to put limits on the immigration (coming to a country of which one is not a native) of Jews to Palestine. Begin organized a protest in Warsaw in response and was imprisoned by the Polish police. Begin escaped, but he was arrested in 1940 by Soviet authorities. He was held in Siberia from 1940 to 1941, but was released because he was a Polish citizen. In 1942 Begin arrived in Palestine as part of the Polish army. In 1943, after his release from the Polish army, Begin became commander of the Irgun Tzevai Leumi, a military organization dedicated to the establishment of a Jewish state in Palestine. He declared "armed warfare" against the government in Palestine at the beginning of 1944, and led a determined struggle against the British. With the independence of the State of Israel in 1948, Begin founded the Herut (Freedom) Party and represented it in the Knesset of Israel, starting with its first meetings in 1949. He became known as a gifted public speaker, writer, and political leader. to Israeli acceptance of U.S. Secretary of State William Rogers' peace proposal, which suggested that Israel should return territories taken over during the Six-Day War. Begin stayed active in politics as leader of the Likud group that opposed the ruling party. In May 1977 Begin became Israel's prime minister. In November of that year he became the first Israeli prime minister to meet with an Arab head of state, when he welcomed Egyptian President Anwar Sadat (1918–1981) to Jerusalem. In March 1979 he and Sadat signed the Egypt-Israel peace treaty on the White House lawn in Washington, D.C. For Begin, and for Israel, it was an important but difficult accomplishment. Although it brought peace with Israel's main enemy, it forced Israel to give up some of the land for which it had fought. Begin again became prime minister after the Knesset elections of 1981. In June 1982 the Israelis invaded Lebanon, causing a war that led to much criticism from other countries, including the United States. Many of these problems eased over time, but the effects of the war were felt long after Begin retired from public life. Still, he remained the most popular of Israeli politicians. The standard of living in Israel rose under his rule, and although the United States and Israel often disagreed about the issues of the Arab-Israeli conflict, assistance and political support from the United States to Israel rose to all-time high levels while Begin was in office. Begin's decision to resign as prime minister of Israel in September 1983 brought to an end a major era in Israeli politics. It was a shock to Israelis despite Begin's earlier statements that he would retire from politics at age seventy. Begin apparently believed that he could no longer perform his tasks as he felt he ought to. Plus, he seemed to be deeply affected by both the death of his wife the previous year and by the continuing losses of Israeli forces in Lebanon. Begin spent most of his remaining years in his apartment, and was seldom seen in public. Often he left home only to attend memorial services for his wife or to visit the hospital. He died of complications from a heart attack on March 9, 1992, in Jerusalem. Brackett, Virginia. Menachem Begin. Philadelphia: Chelsea House, 2002. Seidman, Hillel. Menachem Begin: His Life and Legacy. New York: Shengold, 1990. Sofer, Sasson. Begin: An Anatomy of Leadership. Oxford; New York: B. Blackwell, 1988.